In the heart of coastal Maine on 10 acres overlooking Penobscot Bay, Colonial Gables Oceanfront Village provides unique Belfast Maine vacation rentals and lodging. Our Belfast, ME accommodations include vacation cottages, all with private seaside porches, and motel rooms with beautiful ocean views. 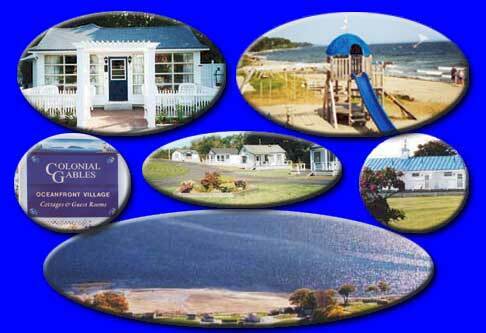 Our oceanfront motel and cabins are convenient to Camden, Bar Harbor, and Acadia National Park. All Material ©2018 Colonial Gables Cottages and Guest rooms Belfast, Maine.